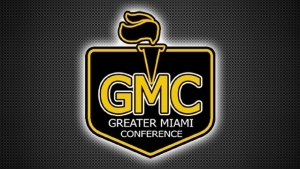 Congratulations fo our Highlanders who were named GMC Athletes of the Week! Jack Hoeting Boys' Tennis Fr. Jack started his varsity tennis career with a 6-1 week. Jack and his partner, Michael McClurg, went 3-1 at the "Best of West" doubles tournament. He also went 2-0 in doubles this past week with Michael. Jack also had a huge win at 3rd singles over Elder in the teams' 5-0 win over the west side rival. Emma Bode had a big opening week hitting .666 with 4 walks, & a home run against Mason. Emma also held the fort down defensively adding a few key outs including an inning-ending double play. Emma not only stands out on the field but off the field as well as she ranks academically among the top of her junior class. Issac led the Highlanders with 22 kills and also had 9 digs and a block against LaSalle in a tough 5 set loss this week. He currently leads the GMC in kills and kills per game with 3.43/game. Issac has worked hard this off-season to prepare himself and it's showing. For the second week in a row, Jillian led the Oak Hills girls throwers in the shot put and discus. She placed 3rd in discus and 4th in shot put overall with some impressive throws. Jillian has a powerful and positive presence on the team, leading by example and helping to elevate her teammates in the process. She has had a strong start to what promises to be an exciting freshman year! Joe is a 400m/800m runner who is always willing to step in and fill whatever role the team needs. As primarily an 800m runner, Joe has made it onto some 4x400 relays in the past but fallen short of running times that would land him on the varsity relay. He was asked to step up and fill that varsity roll on Wednesday as the anchor leg. He was handed the baton in what was essentially a three-way tie for first. Joe sprinted to the lead, fought off a constant assault from his competitors, and held the lead all the way to the end in a thrilling finish! He ran a personal best by a huge margin to achieve this feat.